On 17 July 2014, Malaysian Airlines Flight MH17 was brought down over eastern Ukraine, a few minutes before it would have crossed into Russian airspace on its journey from Amsterdam to Kuala Lumpur. The incident, killing all on board, occurred six months after Ukrainian ultra-nationalists had seized power in Kiev with Western support, triggering the secession of Crimea and a Russian-Ukrainian insurgency in the Donbass (Donetsk and Lugansk provinces). In my forthcoming book Flight MH17, Ukraine and the New Cold War. Prism of Disaster (Manchester University Press, June), which will also come out in a German translation with PapyRossa in Cologne and a Portuguese one with Fino Traço publishers in Belo Horizonte, Brazil, I challenge the Western narrative on what happened that day. Recent events, such as the alleged gas incident in Douma (Syria), the assault of father and daughter Skripal in Salisbury, as well as the accusations of systematic doping of Russian athletes, confirm one of the book’s basic conclusions: Moscow is being accused of misdeeds of all kinds and subjected to sanctions before any serious investigation has occurred to establish its culpability. 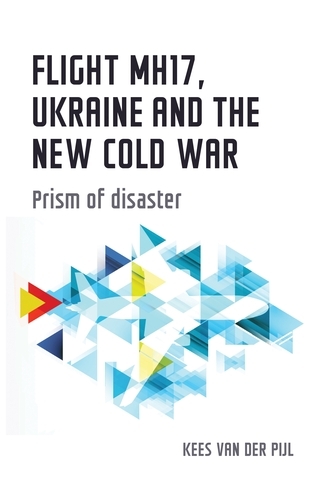 In the book I analyse the MH17 catastrophe as a prism that refracts the broader historical context in which it occurred. Its different strands include the capsizing of the European and world balance of power after the collapse of the USSR; the resurrection by the Putin leadership in Moscow of a Russian state and economy strong enough to resist Western direction; the Gazprom-EU energy connection; the civil war in Ukraine that followed the seizure of power of February 2014, and the attempt to turn Russia into an enemy again, legitimising NATO and EU forward pressure and the new Cold War. There is no way that the disaster can be understood as an isolated incident, a matter of identifying the immediate causes of the crash, or who gave the order to shoot it down if it was not an accident. The analysis must cast its net much wider, if only because many conclusive details are either missing or shrouded by the fog of the propaganda war that broke out immediately afterwards. Certainly an investigation of the catastrophe cannot remain confined to the forensics or rely on phone taps provided by the intelligence service of a regime in Kiev which, by any standard, should be considered a potential perpetrator. The first, most comprehensive frame in which to understand the downing of MH17 is the challenge posed to Western global governance by a tentative bloc of large contender states led by China and Russia. Russia is at the heart of a Eurasian alternative to the neoliberal EU, whilst China is the obvious centre of the BRICS countries (the others being Brazil, Russia, India and South Africa). The Shanghai Cooperation Organisation, established in 2001, is another of the bloc’s supporting structures. In the days immediately preceding the downing, the BRICS heads of state, hosted by the Brazilian president, Dilma Rousseff (since removed by a soft coup staged in May 2016), signed the statute establishing a New Development Bank as a direct challenge to the US and Western-dominated World Bank and IMF. Still in Brazil before flying back to Moscow on the 17th, Russian president Vladimir Putin on the fringes of the football world cup finals also agreed with German Chancellor Angela Merkel to pursue a comprehensive Land for Gas deal. Its tentative provisions included normalising the status of Crimea in exchange for a massive economic rehabilitation plan and a gas price rebate for Ukraine. Russia’s energy resources were key to this deal and, more broadly, to forging a symbiosis with the EU, in particular with Germany and Italy. After the Nordstream pipeline across the Baltic, agreed in 2005 and linking Russia and Germany directly, a South Stream counterpart across the Black Sea was contracted with ENI of Italy in 2007, to be extended through a grid into southern Europe as far as Austria, with German companies involved too. This sort of German-Russian rapprochement goes back to the days of Bismarck and around the turn of the 20th century gave rise to the notion that Anglo-America, the heartland of liberal capitalism and the potentially excluded party from such a rapprochement, should consider its prevention the priority of its European diplomacy. For, by the sheer size of the Eurasian land mass (for which the term ‘heartland’ was coined originally), not to mention the formidable combination that European industry and Russian resources could constitute, unity among the Eurasian states had long appeared threatening to the supremacy of the Anglophone West. Energy diplomacy likely explains the sanctions the US imposed on Russia following the coup in Kiev, and it may explain why Washington stepped up the level of punitive measures so drastically on 16 July, one day before MH17 was brought down, while the BRICS leaders were still in Brazil and Putin and Merkel agreed to work on a solution to the crisis. However, these sanctions were still to be underwritten by an EU summit and expectations were that this was not going to be smooth sailing, because several EU states balked at the prospect of a further disruption of their gas supply, agricultural exports and other economic links with Russia. These hesitations were only overcome after the catastrophe occurred the next day. The Land for Gas negotiations, too, were immediately terminated. South Stream, already being opposed for violations of EU competition rules, was finally abandoned on 1 December 2014. It was replaced by a tentative agreement with Turkey on an alternative route, but this too was disrupted by the shooting down of a Russian jet over Syria by an F-16 from the NATO air base at Inçirlik in southern Turkey in November 2015. It was only revived after the failed coup against the Erdoğan government in July 2016. Today a Nord Stream 2 pipeline is in the works, again fiercely contested by Washington. The book situates these events in the context of a struggle of world-historical proportions between two conflicting social orders: the neoliberal capitalism of the West, locked in a crisis caused by speculative finance, yet still hostage to it; versus a state-directed, oligarchic capitalism, and with Europe in between. This struggle is being fought out in Russia’s ‘Near Abroad’, in the Middle East, in the South China Sea, and elsewhere. The downing of one Malaysian Airlines Boeing and the disappearance of another a few months before, both occurred on these front lines. 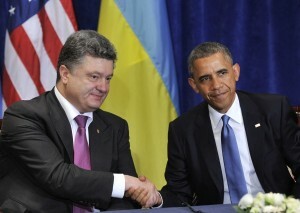 The MH17 crash over eastern Ukraine, then, is a focal point in how this struggle unfolded and continues to do so. So what was ‘new’ about the New Cold War in which it occurred? Here I argue that in the current stand-off with Putin’s Russia, the West operates from a perspective inspired by the mentality of extreme risk-taking that stems from the dominant role of speculative finance in contemporary capitalism. In fact, the post-Soviet space became a testing ground for predatory finance and for the uncompromising authoritarianism that we also see emerging in the West. The financial crisis of 2008 coincided with the first actual test of strength with Russia, when the Bush Jr. administration encouraged Georgia to try and recapture its breakaway province of South Ossetia by force. The European Union was simultaneously trying to commit former Soviet republics to an Eastern Partnership and EU Association, a barely disguised extension of the Euro-Atlantic bloc into the former Soviet space. More specifically it was directed against Moscow’s Eurasian Union project, in which Ukraine, one of the key heavy-industry nodes of the former Soviet Union, figured as well. In fact Ukraine upon the 1991 break-up of the USSR found itself struggling with the legacy of the enlargement of the Ukrainian Soviet Republic in 1922 and the addition of Crimea to it in 1954, that left the country divided in two different ethno-cultural halves. The Russian-Ukrainian population in the south and east favoured close ties with Russia; the Ukrainian population in the westernmost parts on the other hand had a history of resistance to it. This fault-line was reinforced by the formation of a rapacious, criminal oligarchy, of which the strongest fraction emerged in the south-east and favoured federalism, the constitutional arrangement best suited to accommodate the country’s fragile unity. By 2004, however, society grew restive over the endless plunder amid mass poverty and destitution. In the ‘Orange Revolution’ of that year, protest over election fraud was exploited by lesser oligarchs to try and wrest back control over gas and other economic assets from the billionaires associated with federalism. The decision of federalist President Yanukovych not to sign the EU Association Agreement in November 2013 sparked another round of demonstrations. 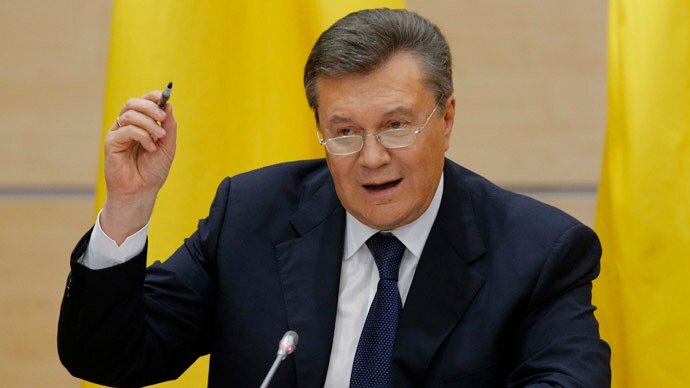 For Ukraine, the agreement would have had grave economic consequences, but in the eyes of many, especially the urban middle classes, Yanukovich’s readiness to accept a Russian counteroffer was a missed chance to stop the plunder by the oligarchy, by then including the president’s family. From mid-February 2014, the demonstrations descended into deadly violence, which was later found to have been the work of provocateurs associated with the ultra-nationalist and actual Ukrainian fascists serving as ‘self-defence’ units. When EU foreign ministers rushed to Kiev to mediate and avoid further bloodshed, US Ambassador Geoffrey Pyatt instead negotiated with the co-founder of the fascist party of independent Ukraine and commander of its militia, Andriy Parubiy, on the modalities of removing Yanukovych by force. After the coup provoked the secession of Crimea and the uprising in the Donbass, Parubiy, put in command of all military and intelligence operations as Secretary of the National Security and Defence Council (NSDC), played a crucial role in the ‘Anti Terrorist Operation’ to bring the rebellious provinces to heel and prevent key cities such as Odessa from joining the uprising. 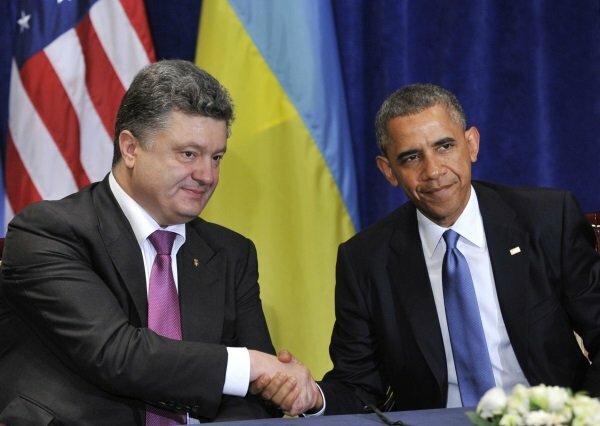 The West committed itself to the coup regime in Kiev right away and actually identified who should lead the new government (as revealed in the notorious, leaked phone call between US Assistant Secretary of State Victoria Nuland and Ambassador Pyatt). The hacked e-mails of NATO commander General Breedlove furthermore reveal that US advisers were directly involved in getting the coup government to respond with maximum force to the uprising in the eastern provinces, on the express supposition that this was the time and place to confront Russia and China. Indeed here we find the documentary evidence of how the larger, geo-economic struggle between the West and the BRICS played out in Ukraine. The civil war in the east was slow to erupt, but time and again, the forces of compromise, nationally and internationally, were cut off by a distinct war party made up of NATO hard-liners and Ukrainian ultras. Whether the downing of MH17 was a conscious move in this context cannot be established, but there is no doubt that the disaster swept aside all remaining hesitations in Europe to go along with the new round of sanctions on Russia imposed by the US the day before. From the start, the civil war was portrayed in the West against the background of an alleged Russian intervention in Ukraine and the MH17 catastrophe was seamlessly woven into this narrative. However, the official investigations into the MH17 disaster, formally delegated to the Netherlands, were profoundly compromised by granting the coup government in Kiev a veto over any outcomes, a novelty in history of aviation disaster investigation that was considered shameful even in Ukraine. The immunity from criminal prosecution was granted on 7 August, the day Andriy Parubiy stepped down as NSDC Secretary. Since NATO Secretary-General Anders Fogh Rasmussen paid a lightning visit to Kiev that very day, with tanks patrolling the streets, in the book I ask the question whether Rasmussen had come to express support for President Petro Poroshenko and the immunity was the price to ward off another coup. The narrative of Russian responsibility had meanwhile been floated by the minister of the interior of the coup government in Kiev, Arsen Avakov, and his spokesman, Anton Gerashchenko, right after the downing and it has been confirmed in both the conclusions of the Dutch Safety Board (DSB) and the criminal investigation by a Joint Investigation Team (JIT). According to the DSB the plane had been downed by a Buk (SA-11) surface-to-air missile hit coming from rebel-held territory; the JIT progress report in September 2016 added that a Buk unit had in fact been transported from Russia, fired a missile and then was transported back. In the book I contest these findings by pointing to obvious inconsistencies in both the official Buk, and the alternative fighter plane scenarios that have been put forward. Among others, the DSB conclusion that MH17 was brought down by a Russian missile, was based on two tell-tale, bowtie-shaped shrapnel particles found in the plane wreckage, out of the potential 2,500 contained by a missile warhead, of which in tests some 1,500 smash into the plane’s body. Without claiming to know who, intentionally or by accident, finally pulled the trigger, I see the drama of MH17 as the outcome of Western, mostly US and NATO forward pressure into the former Soviet bloc and the actual USSR. From the Russian angle, the disaster is only one element in a much broader picture covering the coup and the civil war, its more than ten thousand dead and more than a million refugees. Nevertheless, throughout the entire process Moscow, too, has adopted a strange posture that does not inspire confidence. Excluded from both investigations, it has not come up with compelling evidence exculpating itself and/or the insurgents, either. Besides reticence about exposing the true reach and capacity of its satellite and radar intelligence, the explanation for these oblique hints and last-minute revelations can only be that for Moscow there are other priorities in Ukraine and even in its relations with the West than revealing the truth about MH17—just as for the United States and NATO, which have consistently failed to back up any of their claims concerning Russian or insurgent responsibility, geopolitical considerations come first. Since finishing the book, the aforementioned instances in which Moscow was declared guilty before the facts are in, have further exacerbated an international situation already fraught with grave dangers. Investigating what we do know about these events, in this case the downing of Flight MH17, therefore constitutes a necessary step in trying to defuse what may explode into a far larger conflict.